The World Series of Poker is one of the most popular poker organizations that hosts various tournaments all over the world. One of its very interesting branches is the World Series of Poker Europe, which follows a similar format to other WSOP festivals that happen outside the old continent. Most WSOP dates are already confirmed since it takes place during summer. However, WSOPE usually takes place during fall, and the date set for this event to begin is October 15. It will last until November 4. The festival will take place by the King’s Resort which is located in the city of Rozvadov, Czech Republic. This is the third time in the row that the WSOPE will be hosted in this Czechian city. There will be a total of 10 golden bracelets which will be awarded to the most successful players in the events scheduled for this festival. In other words, a lot of things will stay the same, just like in the previous WSOPE festival. Although in-depth details about most events are not familiar yet, there are several pieces of information disclosed regarding the WSOP Europe Main Event. First of all, we know that it will take place on October 25-30, 2019 and that the required buy-in for this tournament will be €10,000. 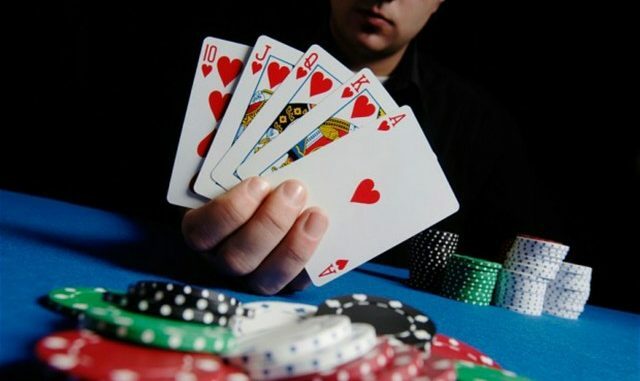 Furthermore, the staff of the King’s Resort has shown great dedication in preparing the festival, and some of the additional games that made it very popular and adored among the poker players and fans include not only tournaments but also 24/7 cash games and a lot of other top-notch amenities. In other words, the incredible staff made this event a prestigious one, which is the reason why it seems that the WSOP Europe festival will take place there for many years to come. Leon Tsoukernik is the owner of King’s Resort, and he stated that they loved hosting WSOPE and welcoming the best players of the game, displaying their one-of-a-kind hospitality. He added that he hoped that some of the players who had participated last year would come in 2019 as well. Furthermore, he advised those who didn’t visit the festival to make plans to come for the first time and experience the unique atmosphere at King’s Resort. Last years was pretty successful, especially considering that the Main Event managed to break all records. First of all, there were a total of 6,028 for all 10 events, and the participants managed to create a total prize pool of €20,997,184. More than €5,000,000 went to the Main Event which was won by Jack Sinclair who won a total of €1.2 million. Truth be told, the WSOP Europe 2018 has set some really high standards, and the hosts must really do their best in order to break this record.